February 2017- Barnes Law Firm, P.A. In an effort to highlight local businesses in Oxford and Lafayette County who actively provide wellness opportunities to employees, RebelWell has created HealthyOxford|Business. Each month, RebelWell will feature a local business and spotlight their wellness efforts and activities for employees and customers. RebelWell project coordinator, Wendy Carmean said while doing research for the program, they learned that many local businesses, of all shapes and sizes, already offer wellness opportunities for their employees. “There are businesses in our community who go above and beyond to offer wellness opportunities for employees and their customers,” Carmean said. “These are important elements for creating a positive quality of life for the people who live and work in our town. Pam Swain, Senior Vice-President for the Oxford Chamber of Commerce and RebelWell’s HealthyOxford Community Advisory board member said the program is a way to show how our local businesses are already contributing to the health of our community. To kick off the monthly award program, RebelWell has selected FNC, Inc. as November’s HealthyOxford|Business recipient. FNC’s continued wellness efforts make it clear they believe in the importance of wellness for their employees. 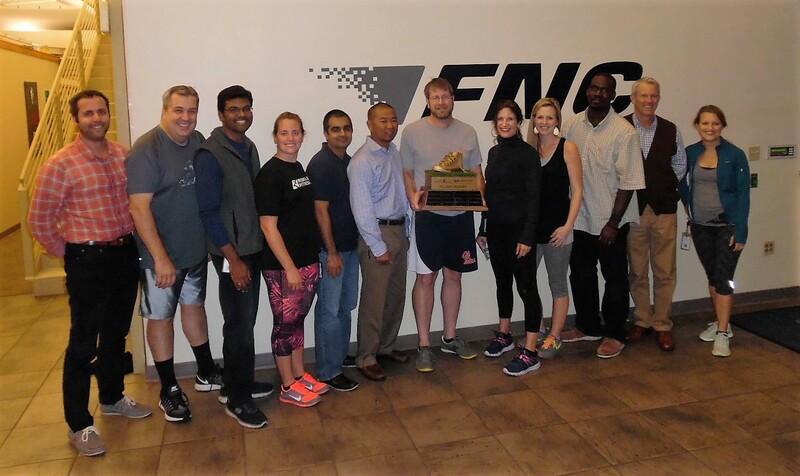 FNC employees accepting the ‘Golden Sneaker’ traveling trophy from l to r: John Marsalis, Shawn Telford, Sankar Bokka, Katie Kowalke, Adhip Pokharel, Kent Jackson, Brad Darby, Bethany Cooper, Sage Nichols, Dwain Richardson, Glen Evans, Lisa Burr. Some of FNC’s wellness efforts include encouraging employees to hold walking meetings in the park across the street. FNC’s management believes walking meetings are wonderful opportunities for one-on-one discussions and brainstorming sessions. Many FNC employees have developed healthier lifestyles, spurred by the company’s in-house wellness competitions. In addition to in-house wellness competitions and on-site group fitness classes, FNC also offers an annual on-site health screening, which includes a series of quick tests and measurements that provide employees with a snapshot of their current health status. FNC recognizes that knowing your numbers is important to a healthy lifestyle, and on site health screenings may help identify health concerns before they are serious health problems. FNC will display the RebelWell Golden Sneaker trophy at their office on Office Park Drive for the month and permanently display the HealthyOxford|Business window decal signifying they are doing outstanding things in the wellness space. 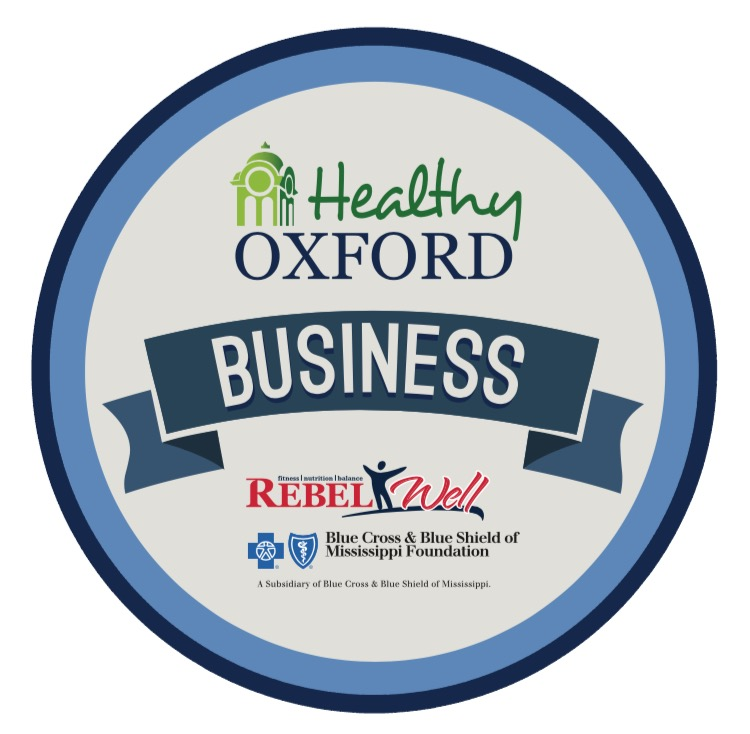 If you would like to recommend your company or business for a HealthyOxford|Business recognition, please contact Wendy Carmean at wendy@olemiss.edu. Funded by a generous grant from Blue Cross Blue Shield of Mississippi Foundation, the university developed the RebelWell program that provides a range of opportunities for university employees, school age children, public school educators, university students and the greater LOU community. RebelWell encourages healthy lifestyles through group fitness classes, cooking demonstrations, nutrition counseling and an array of programs and partnerships focusing on increasing physical activity and nutrition education. Visit RebelWell online at rebelwell.olemiss.edu for more information. FNC® revolutionized real estate collateral information technology. Since the mid-1990s, FNC has offered solutions that automate appraisal ordering, tracking, documentation and review for lender compliance with government regulations. FNC’s clients have realized reduced costs and more efficient loan processing. With its Collateral Management System® (CMS®) and collateral-focused data and analytics, FNC provides advanced insight into the property backing a loan from origination to capital markets. No one understands real estate collateral better than FNC. Visit FNC online at www.fncinc.com for more information.